Sad news for the afternoon. 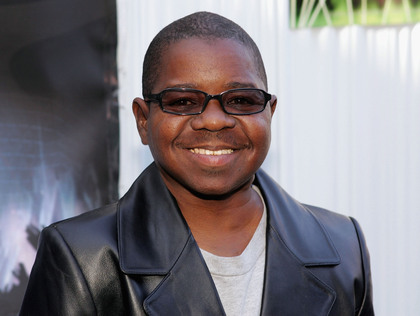 Actor from the 70s sitcom, "Diff'rent Strokes" Gary Coleman passed away at the age of 42 this afternoon of a brain hemorrhage. Utah Valley Regional Medical Center spokeswoman Janet Frank said that Gary died at 12:05 p.m. MDT. Gary suffered the brain hemorrhage Wednesday at his Santaquin home, 55 miles away from Salt Lake City. A statement from his family said he was conscious until midday Thursday, when his condition worsened and he slipped into a coma. Coleman was then placed on life support, and passed away this afternoon. Even if you didn't watch the show (or the reruns for my generation LOL), you definitely knew Gary by his famous line "Whatchu talkin bout Willis?!" LOL I also remember him being in The Parkers, and Nikki made a show for him or something called "Gary & Company" and they had a theme song for it. I used to sing it all the time LOL Here's the episode below. I loved this one! Part two starts the song if u dont wanna watch the whole thing. After the jump! 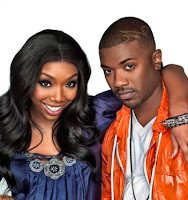 Well, I love Brandy and Ray J's new show "Family Business" that is shown every Sunday on VH1. It's cool to see the Norwoods at work and at play. They're a tight knit family, but every family has its problems, as is seen on the show. Well, glad to say that VH1 has decided to develop another season featuring the Norwood family, according to SingersRoom. The news was announced Wednesday. 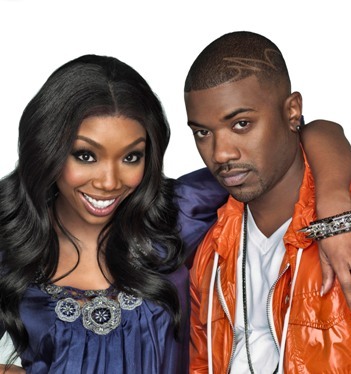 The show is still going through its first season, with the season finale to premiere on June 27 at 9 p.m. ET. Oooh wait, conflict. BET Awards...gotta do my review so I will check that out online later that week. But to everyone else, if you aren't watching the Awards or anything else, make sure you check it out. "What Chilli Wants" has also been renewed for a second season. The season will feature either Chilli looking for love with a new set of men, or settling down with whoever she has on the show. I never really watched the show. I might catch up on it sometime. After all the stories I've heard about Miss Chilli not really knowing what she wants, I might just watch it for entertainment. The season finale for this season is this upcoming Sunday May 30 at 10:30 p.m. ET. Ok, so this is one of my favorite songs by Trey Songz probably EVER. I saw the preview for this video a while back, and I knew it was going to be good. 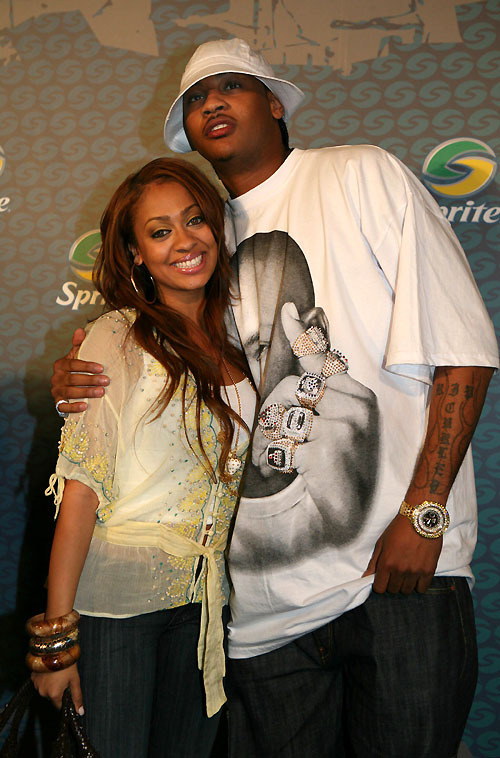 It features Keri Hilson and Trey as husband and wife (they make a very cute play couple btw) and they have a young daughter and wonderful relationship. Only thing is, Keri is a soldier in the army, and is suddenly deployed to Iraq. Check the video below! I'm not gonna lie. The video had me upset. It was a great video definitely. I was sad and mad and it really hit home for me. Families all over are going through this exact same thing because of this stupid war, and it angers me. People are saying goodbye to family members and friends, and it's possible that that last hug before they leave to head to Iraq will be the last hug they ever get. *Sighs* It was a sad but true video. I'm praying for all of the soldiers that are fighting overseas. I pray you make it home safe and sound. Good job Trey and Keri. BUT...seems Ro still has some things to look forward to. 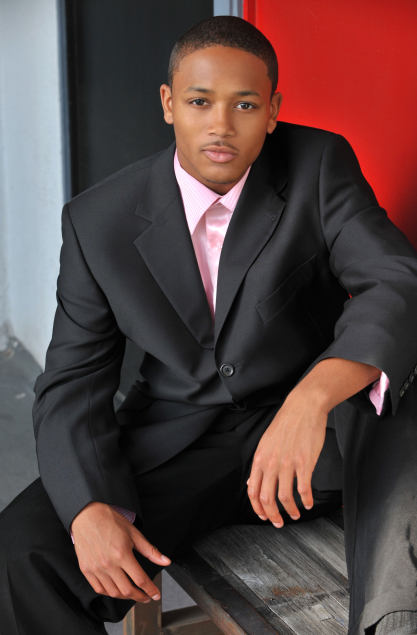 According to MTV News, rapper Romeo may win a role in the last Twilight film of the popular vampire/werewolf series. "We're talking to some of the executive producers right now," he said. "It's a small [role], but you might see me in there," Romeo revealed in a interview with MTV. Here is an alternate video of "Halo" by my girl Beyoncé. It was released by different news sites today. I don't know if any of you have seen it, but I haven't, so I had to feature it. I'm gonna let you figure out the concept. Look at the released version and then watch the original version, and try to figure out what Bey was going for. Watch the original version after the jump! Hello all. Hope this post finds you well. And since tonight is Glee night, this post is fitting for a Tuesday. Awesome! Madonna is definitely a legend that should be celebrated, and I'm excited to see what songs the cast sings this time around. I don't think I can say it enough. I LOVE THIS SHOW!!!! Side bar: Did yall know that Jonathan Groff (who plays Jessie St. James, Rachel's boyfriend) is gay? Not against it cuz I have love for everybody and have quite a few gay friends, but I just had no idea. Bet now when I watch tonight's episode, I will probably look for some signs or something lol. Oh btw, like my new signature? Good Monday morning all! Hope everyone has a productive and blessed week. Here's the news for the morning. 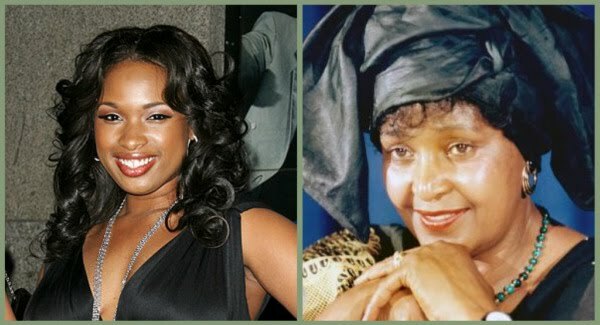 According to Access Hollywood, the production of the Winnie Madikizela-Mandela biopic starring Jennifer Hudson, will continue, despite of Ms. Madikizela-Mandela's threats of legal action. 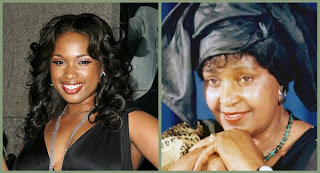 The ex-wife of former South African president Nelson Mandela wanted to approve the script before the filming of the biopic went underway. However, film director Darrell Roodt and producer Andre Pieterse decided against it, saying that the film's script had been thoroughly researched and there was no need from influence and interference from the main characters. What a great Christmas it will be then! Yes, ladies and gentlemen, you read that title right! A new Tupac Shakur album will be released this Christmas, according to BET Entertainment (I LOVE THIS SITE!). The president of Canadian company Wideawake Entertainment John Payne told VIBE.com that the album will consist of previously recorded unreleased material. Apparently, these songs were recorded during the All Eyez On Me days. Payne told VIBE.com, “This is unreleased Tupac…no remastering or remixing. The songs are from a collection of tracks that were recorded during his Death Row days around All Eyez On Me. I believe that these songs could have been Tupac’s next record if he were still alive." Well, I'm definitely looking forward to it. I will be buying that on iTunes. Man it's crazy. If Tupac (and some of our other legends no doubt) were still around, they would definitely be letting my generation know how it really be! Swear some of this new stuff out now, I just can't get with it. 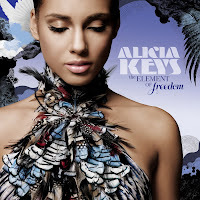 So I'm a huge fan of the song "Unthinkable" off of Alicia Keys' newest album The Element of Freedom. In fact, it's probably one of my favorites off of the album, falling second to "That's How Strong My Love Is." The video for the song premiered this morning, and I had to put it up and give my two cents. It takes the audience through different decades and highlights Alicia and Chad Michael Murrary, who are in an interracial relationship. They get flack from their friends and family because it is somewhat unacceptable in families, even today, to date outside of your own race. I connect the concept of the video to the song like this: Despite what everyone around them are saying, Alicia sings "If you ask me, I'm ready." She's ready to do the unthinkable, to take this journey with Chad, because she loves him and it doesn't matter what anyone else says. Great concept Alicia. Watch the video below. Before I begin, I would like to say rest in peace to legendary singer, actress, and activist Lena Horne. She made a great impact on this world, and she will be missed. My condolences to her loved ones. Hello my readers! First, I would like to wish a very happy birthday to my little cousin Bre'Anna who turned four today! Love you much *MUAH* lol ok back to my news for today. A couple of weeks ago, I was contacted by Lauren Coleman, founder and president of Punch Media Group. Her company focuses on reaching 18-34 year olds through online and cell phone methods to spread the word about different businesses and their products. She reached out to me to do a piece on a show called Asia Uncut, a late-night talk show in Asia! 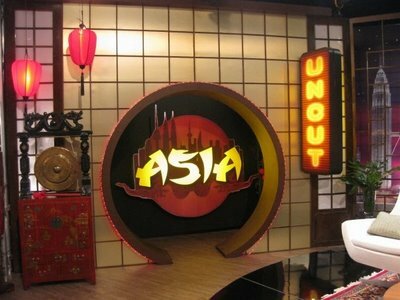 The hour-long show premiered in 2009 and mixes sketch comedy, musical performances, and celebrity interviews from both Asian and Western talent. Past guests include Edward Norton, Jackie Chan, and Jamie-Lynn Sigler, as well as Asia celebrities like Lee Wonghorm and Donnie Yen. Creator and host of the show, Jon Niermann, decided to create the show after spending 12 years in Asia. Niermann, who was also a past Disney execute, felt a great need for a regional night show in the area. "We finally just decided to shoot a pilot, and it got picked up right away," he said. "[The show] gives international artists a unique platform in a familiar format to reach a broad, affluent audience, while at the same time, gives Asian artists a chance to broaden their fan base to the English-speaking market." The show is produced by Niermann's company West Meets East Productions, and is shot in a studio in Shanghai, China. It is broadcast weekly via syndiccation and reaches 100 million people worldwide. This season is now available to watch in the U.S. online at the Asia Uncut website. I've checked out a few episodes, and I really like it! The music is great to listen to, and the guests are very interesting people with varying talent that will definitely excite you! You guys should definitely watch yourself!